Sam Buckner for Shaw Media. 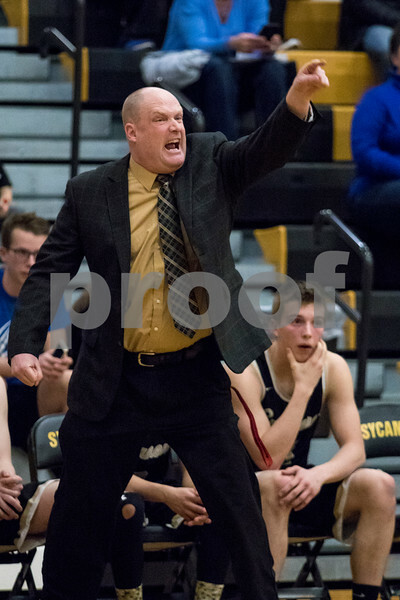 Sycamore head coach Ryan Picolotti points out an open player during their boys basketball regional semifinal game on Wednesday Mar. 1, 2017 at Sycamore High School in Sycamore. Sycamore won 64-56.